On Friday afternoon I finished my adventure as Lara Croft, Tomb Raider, and another “Survivor” was born. I was 98% complete when I finished, not bad I suspect. 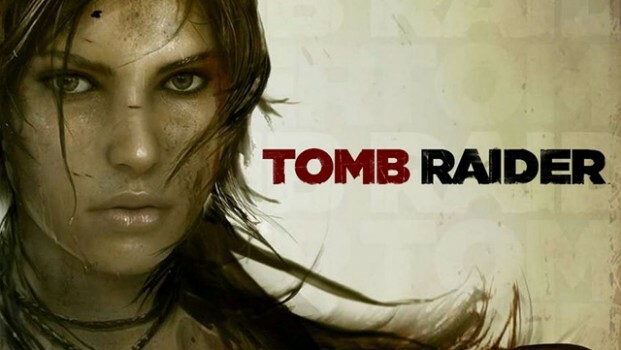 Here’s a vid that gives a look into Lara’s world and what you face if you take on this game. Most of my real gaming experience goes back over a decade, so I don’t have a lot to compare this game to, but I thought it was awesome! It’s probably the ultimate game for me personally because it has so many features that appeal to me. However, there are several aspects of the game that were a letdown; I’ll talk about those later. There are five things that really WOWed me about this game. First, the avatar of Lara Croft was great and the actress playing the part was near perfect, her voice and movements created a sense of reality and I became totally immersed in her character. Second, the landscaping was fantastic and the physical attributes were perfect, not to mention that some of the areas were simply awesome to view. Next, the storyline was as good of an adventure as possible within the limitations of the market, it was exciting and at times terrifying. Fourth, the animations in general were as good as anything I’ve ever seen, again, the physics were outstanding. And finally, there were no defects that caused any disruption of my play. Even though this was game an enjoyable experience, there were three issues that left me with the feeling that the game wasn’t as good as I hoped it would be. The main issues I had is, this game was along the same line as games I’d played in the 1990s; for the most part it’s about solving silly puzzles, collecting useless junk, doing finger gymnastics with the controller, and shooting stuff up. This is the proven, “rinse and repeat” formula that appeals to the young male audience, despite the fact that the protagonist is a female. In fact, after viewing the vast list of credits that were displayed at the end of the game, maybe hundreds of people, over 90% of the product development staff was male. Other than selecting a great young woman actress, Camilla Luddington, to star as Lara’s motion capture and voice, there was nothing I saw aided at making the game appealing to actual females, yanno, women. I know there are women and girls who will play this game and will be fine with what it is, as it is, but I would like to have seen this game include elements that reach out to women (nuff said for now). Second, is it really necessary to have sooooo much violence and gore and rotting corpses and filth and yuk? And one last thing, I found the main menu screen graphics, the character graphics that is, to be very poor on my 43″ Sony Bravia tv. I probably should have waited to take a plunge into the Multiplayer extension of “Tomb Raider”, but I went ahead and hurled myself in, as always. Unfortunately, I was disappointed on so many levels I wish I’d taken a long break before trying it. I’ll try it a second look after a break. This entry was posted in Journal and tagged Adventure, Exploring, Gaming, Videos, Virtual Worlds. Bookmark the permalink.